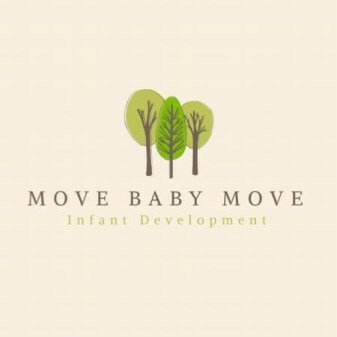 JOIN OUR MOVE BABY MOVE CLASSES IN BOSTON & CAMBRIDGE! GroovyBabyMusic pairs up with movement educator Ansley DeLaney to present her engaging program “Move Baby Move!” This unique program offers developmental movement classes for young children at each stage of their growth, as well as new parent’s groups. The developmental movement classes are designated Infants, Crawlers, or Walkers, as the certified teacher presents appropriate and engaging movement activities over the 9-week semester. The New Parent’s Group is designed to support families as they embrace parenthood. Activities include welcoming the baby's body to the physical world while strengthening the growing spine, exploring the vestibular system (the sense of balance), and finding center. The class includes tummy time, massage, visual and auditory stimulation that will support all the development patterns, including crawling, standing and speech. Encouraging heart-to-heart connection is emphasized through the entire class. This group is intended for parents with babies 0-6 months. As always, the teacher fosters a warm, welcoming environment, making each activity fun and engaging for children, while being available for parent's questions along the way! The emphasis of this 45-minute class is to encourage movement to help crawlers on the go! We will work on the Vestibular system (the sense of balance) and start incorporating rhythm, breathing and social interaction, as well as more props to aid in learning. Yoga poses that encourage development are introduced, such as backbends, forward bends, side bends and twists. The teacher engages the children and facilitates parents along the way. In this 45-minute class we increase body and spatial awareness while working on socialization and gaining independence from caregivers. Activities encourage cognitive thinking, sequencing, expectations and timing. Language is strongly encouraged through activities that emphasize vocal sounds, songs and rhythmic games. Developmental patterns are fostered through more physical work–playing with balance, falling and standing. As always, the teacher fosters a warm, welcoming environment, making each activity fun and engaging for children, while being available for parent's questions along the way! In this nurturing class we will practice a rhythmic flow of energy and awareness while incorporating restorative yoga postures. Mothers-to-be will examine the power of meditation, mindfulness and breathing techniques to help you through the physical changes and prepare the body and mind for labor and delivery. This class is beneficial for all stages of pregnancy. Please bring a yoga mat and water. This special class offers a playful and safe environment for Mom to soften, strengthen and rejuvenate her body. Mom will move through poses alongside or with baby, exploring your bodies together in a unique bonding experience. Please wear comfortable clothing, bring a yoga mat, water, and a blanket for your baby to lay on. A wonderful way to connect with moms in the community. Sleeping babies are welcome too!